Virginie Bernhard, a horse trainer from Switzerland, kisses Stormy, a 2-year-old Quarter Horse, on Friday at Spring Creek Horse Rescue in Gem Village. Bernhard donated a week of her time at the horse rescue working with three of the most abused animals. 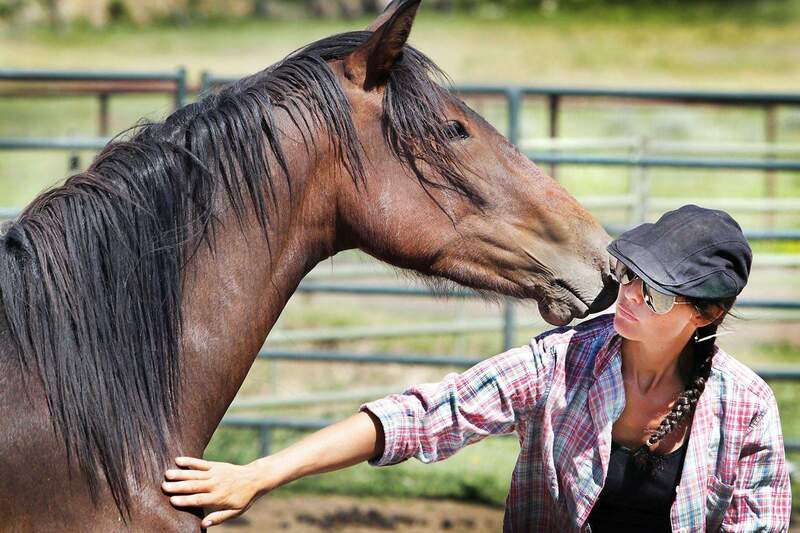 Two days ago, Stormy was a multi-traumatic horse that you couldnt touch. He would bite, kick and had no interest in humans  just food. But (by) being gentle, showing respect and playing with them, you build their confidence and clean the trauma. Its like building a home  you have to start from the base, Bernhard said. 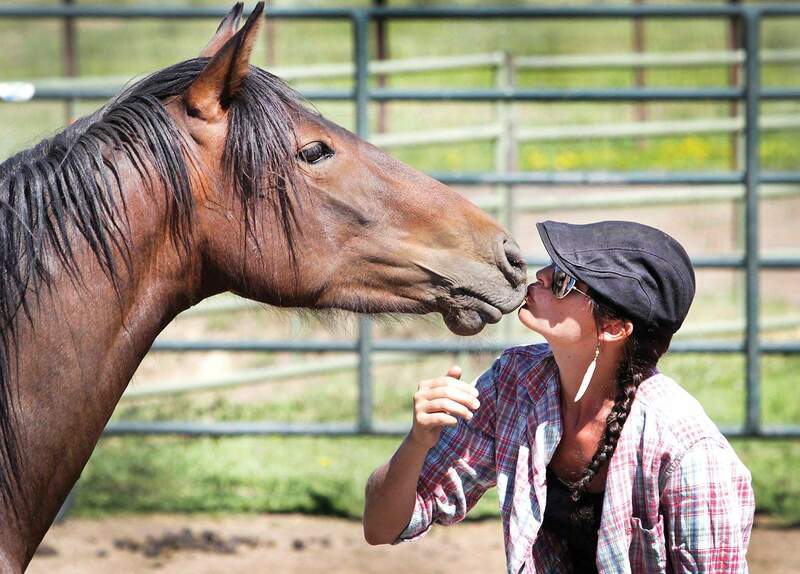 Virginie Bernhard, an international horse trainer, from Switzerland, kisses, Stormy, a two-year-old quarter horse on Friday at Spring Creek Horse Rescue in Gem Village. Bernhard donated a week of her time at the rescue working with three of the most abused horses at the rescue. 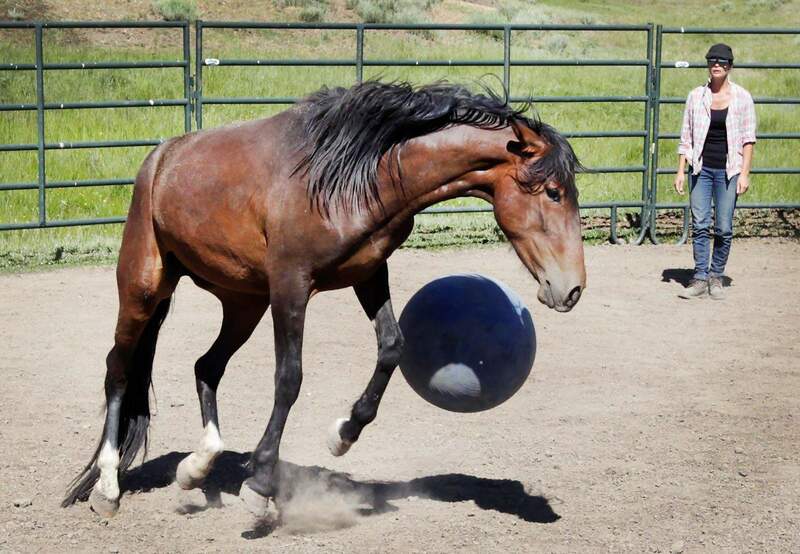 "Two days ago Stormy was a multi-traumatic horse that you couldn't touch, he would bite, kick, and had no interest in humans, just food. But being gentle, showing respect and playing with them you build their confidence and clean the trauma. It's like building a home you have to start from the base." Said Bernhard.